Life-Size Standups – Indy Imaging Inc.
Life-Size Standups are used for both indoor and outdoor advertising. Indy Imaging can make your customer’s vision a life-size reality. We also provide custom easels. 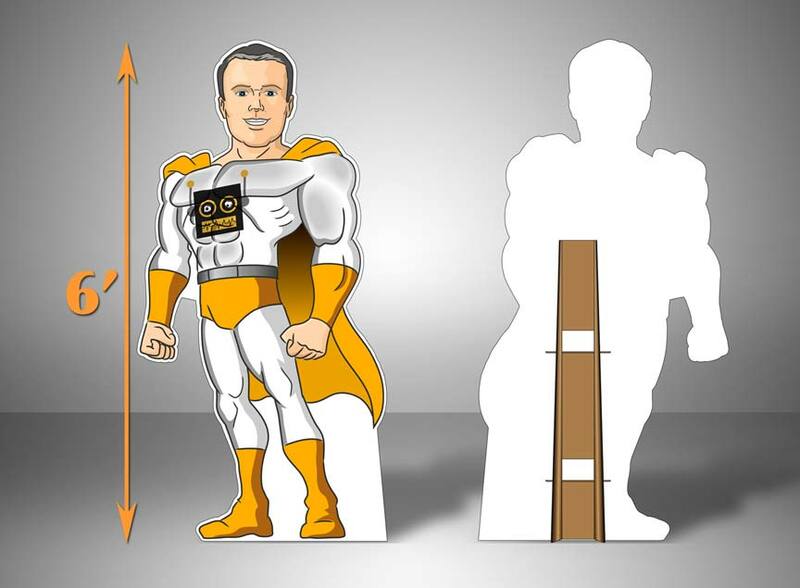 What to consider when ordering Life-Size Standups. . . Does the art design take into account the base needed for the standup? Is the art set up with a cut file? These are shipped freight on a pallet, which makes shipping expensive. The maximum width for Life-Size Standups is generally 60”.